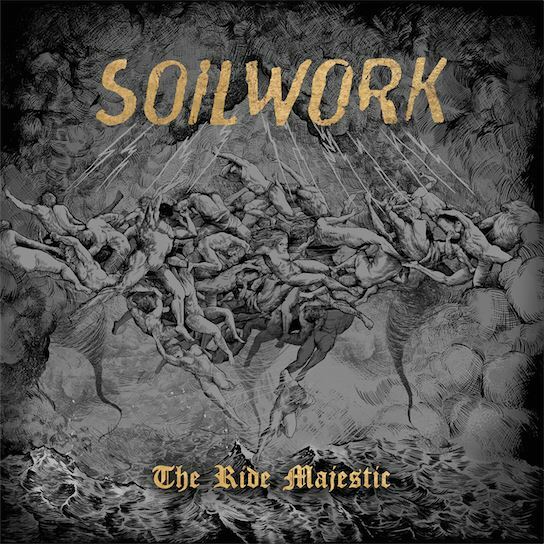 Sweden-based melodic death metal experts SOILWORK will releas their tenth studio album, "The Ride Majestic", on August 28 via Nuclear Blast. 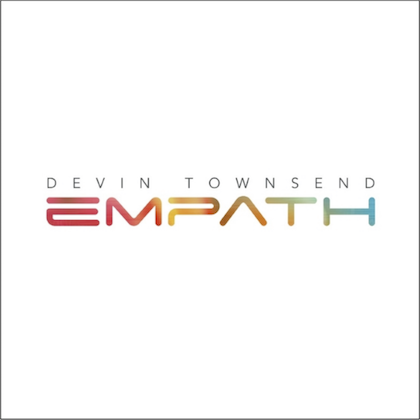 The CD was recorded by David Castillo (OPETH, KATATONIA) at Studio Gröndal and was produced and mixed by Jens Bogren (KREATOR, AMON AMARTH) at Fascination Street. 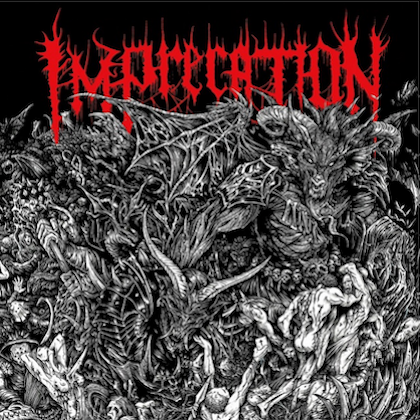 The cover artwork was created by Róbert Borbás (Grinddesign) and can be seen below. "The Ride Majestic" will be made available in various formats (CD, vinyl, t-shirt/CD bundle). Pre-order your copy here. 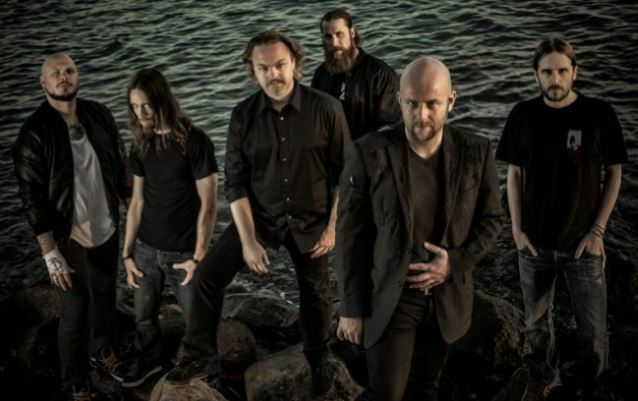 Comments SOILWORK vocalist Björn "Speed" Strid: "We just put the final touches on our new album, 'The Ride Majestic', and all we can say is that it's going to be massive. 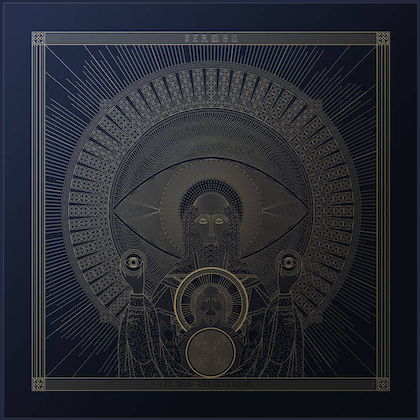 It definitely picks up where we left off with 'The Living Infinite', but slightly darker, atmospheric and almost anthemic, with some really interesting twists and turns. Can't wait to play this epic beast live! Await the ride majestic ladies n gents!" In celebration of "The Ride Majestic"'s impending release, SOILWORK has released a live video of the band's "hit" song "Let This River Flow", featuring a guest appearance by NIGHTWISH/REVAMP singer Floor Jansen, which comes off SOILWORK's most recent DVD/Blu-ray, "Live In The Heart Of Helsinki". Adds Strid: "I was really excited to work with Floor Jansen, especially since we haven't had any female guest artists featured on anything SOILWORK-related before. "I first got to know Floor via e-mail some years ago, when she asked me to do some guest vocals for her other amazing band REVAMP. I was absolutely thrilled, since I really respect her as a singer — she can do it all: amazing clean vocals, powerful high and low screams and can shape her voice into just about anything. I thought I'd 'return the favor' and ask her to do 'Let This River Flow' with me for our live DVD in Helsinki and, boy, did it turn out amazing! It was really cool to meet her in person as well; her presence is majestic and she has a great sense of humor. I think our voices match perfectly in this almost anthemic song, which showcases a lot of different types of vocals." The official "The Tour Majestic" European run will kick off in late November. The band will share the stage with Danish thrash/death metal group HATESPHERE and another special guest. 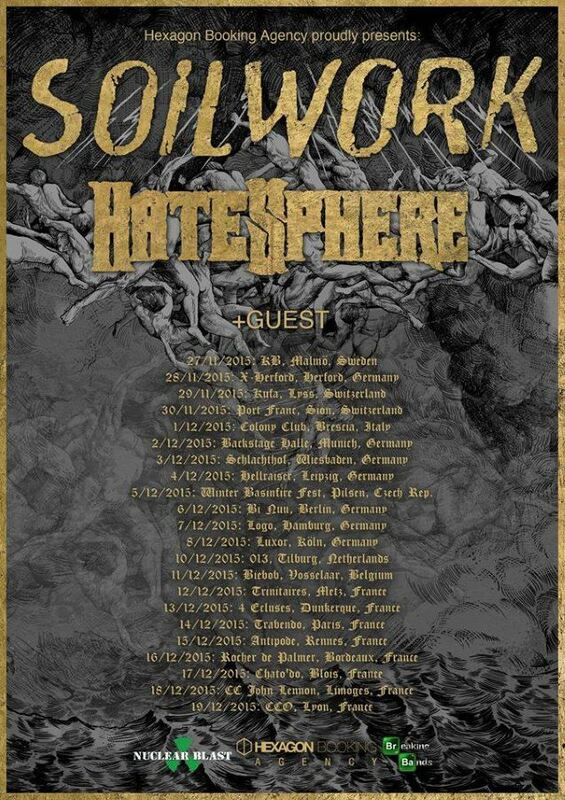 SOILWORK is also slated to perform at the seventh annual Metal Hammer Awards in Berlin on September 18.